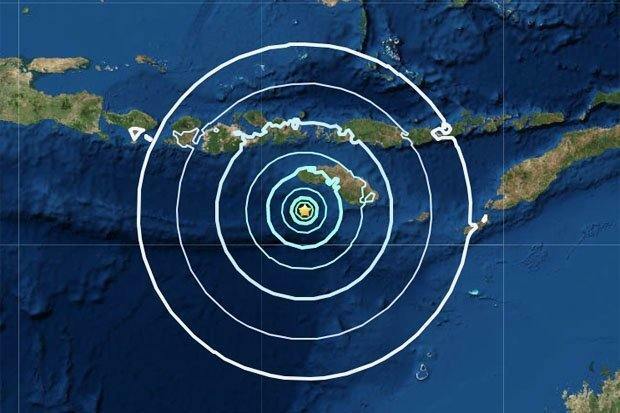 A powerful magnitude 6.4 earthquake has struck off the central island of Sumbawa, but no tsunami warning was issued and there were no immediate reports of damage. The tremor followed a pair of offshore quakes in the same area, including one that was magnitude 6.1 south of the city of Raba. Disaster-prone Indonesia, which sits on the Pacific Ring of Fire, where tectonic plates collide, suffered its deadliest year in more than a decade in 2018 as a series of earthquakes and tsunamis killed thousands of people. Indonesia is still reeling from a devastating tsunami at the end of December triggered by an erupting volcano in the middle of the Sunda Strait between Java and Sumatra islands that killed more than 400 people.